← Low-carb adventures: ground chicken meatloaf! In a large Dutch oven pot, melt butter and heat oil over a medium heat. Add onions and saute until they start to soften. Add the carrots, celery, rosemary, thyme, paprika, Mrs Dash & stir to mix. Cook for 2-3 minutes until vegetables get soft. Deglaze with the wine (or water/broth). Add barbecue sauce, Worcestershire, barley, broth, water, stock pot and cabbage. Bring to a boil, then lower heat, cover and simmer for about 25 minutes. Add peas and corn and heat through another 5 minutes or so. You should be able to freeze this in small portions to take to work for lunches through the week and just microwave it. Warning: You might want to choose not to add corn. I find that second day, the corn overpowers the broth flavouring, making it -very- sweet. Up to you! 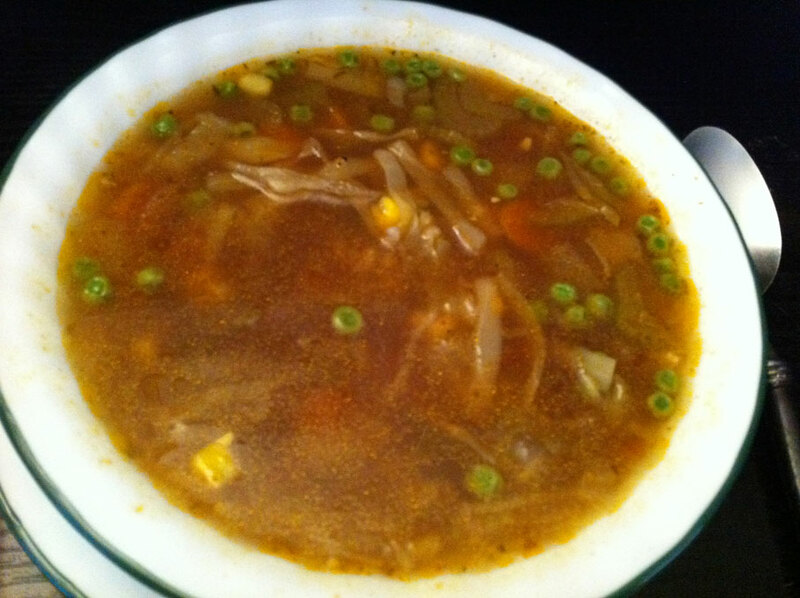 This entry was posted in Carb-friendly foods, comfort food, dinner, Lunch, nutritional values, one-pot-wonders, sides, soups, stove-top and tagged barbecue sauce, barley, beef broth, cabbage, carrots, celery, corn, Mrs Dash, onion, paprika, peas, rosemary, thyme, worcestershire sauce. Bookmark the permalink.